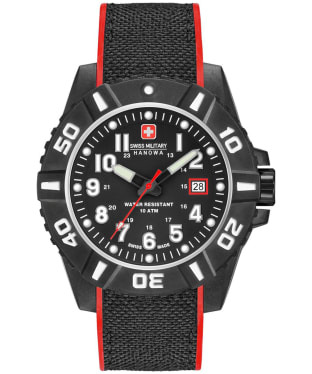 Discover the exceptional quality of Swiss Military Hanowa. This trendsetting company is famed for creating for military and sporty watches that do not compromise on style. Globally recognised for their Swiss movements, craftsmanship and timeless design, these watches make perfect gifts for those who deserves the very best. The combination of high quality materials, appealing design and outstanding performance make Swiss Military timepieces unique, transcending fashion trends to perfectly suit quality-conscious lifestyles. 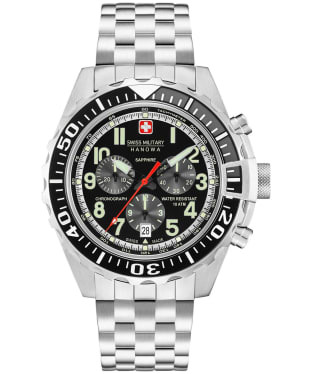 Explore our handpicked selection of Swiss Military watches and you’re sure to find something you will love for years to come.